Due to the real and perceived dangers of online dating, the stigma that surrounds it, and the pervasiveness of it, it is a great lens through which folks can be introduced to the core principles of threat modeling. 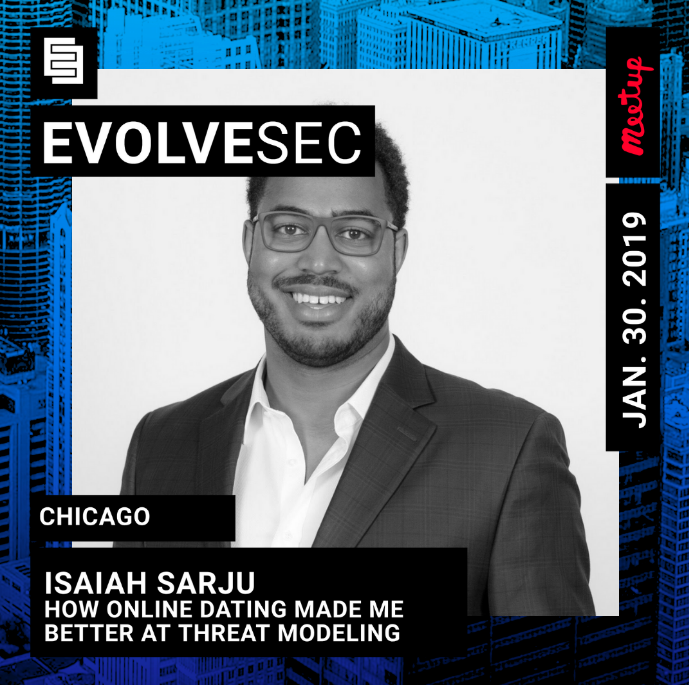 So just how did online dating make Isaiah better at threat modeling?! Isaiah Sarju has used online dating sites such as Tinder and OkCupid. At times this seems antithetical to his stance on privacy and security. To better understand the security ramifications of online dating, and to establish safe methods of doing it, he applied threat modeling to online dating. Through this he came up with a set of best practices depending on your threat model. This talk is relevant for anyone who is trying to balance privacy and security and a desire for human connection in this modern world. Due to the real and perceived dangers of online dating, the stigma that surrounds it, and the pervasiveness of it, it is a great lens through which folks can be introduced to the core principles of threat modeling. It also makes it fun to talk about! Since 2008, Isaiah Sarju has been an asset to the Information Security field. He has contributed to the Microsoft Security Intelligence Report, exploited systems in diverse environments, conducted numerous penetration tests, and taught students how to become top tier defenders.